Current ISR postdoctoral researcher Mounya Elhilali has accepted a faculty position in the Electrical and Computer Engineering Department of Johns Hopkins University. The assistant professor position begins in January 2008. 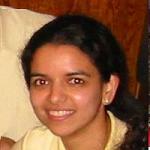 Elhilali earned her Ph.D. in Electrical Engineering at the University of Maryland in 2004. Her advisor was Professor Shihab Shamma (ECE/ISR), with whom she also is working during her postdoctoral appointment. She is currently conducting research on the analysis of physiological experiments in the auditory cortex and models of auditory scene analysis. Her appointment continues through the end of 2007. Elhilali's research interests include study of auditory perception and learning (adaptive plasticity in auditory processing), as well as modeling work that relates neurophysiological findings of auditory processing to various signal processing applications including assessment of speech intelligibility, computational auditory scene analysis and auditory streaming.